Encrypting all HTTP traffic has long been considered a key security goal, but there have been two key obstacles to this. First, certificates are not free and many owners are unwilling to pay; secondly the certificates themselves are not always something that could be set up by a site owner. The Let’s Encrypt project was founded with the goal of eliminating these obstacles. The project’s goal is to provide free certificates to all site owners; in addition, software could be set up on a web server to make the process as automated as possible. It is backed by many major Internet companies and non-profit organizations – Akamai, Cisco, the Electronic Frontier Foundation (EFF), Facebook, and Mozilla to name a few. Let’s Encrypt only issues domain-validated certificates and not extended validation (EV) certificates, which include additional checks regarding the identity of the site owner. Unfortunately, the potential for Let’s Encrypt being abused has always been present. Because of this, we have kept an eye out for malicious sites that would use a Let’s Encrypt certificate. 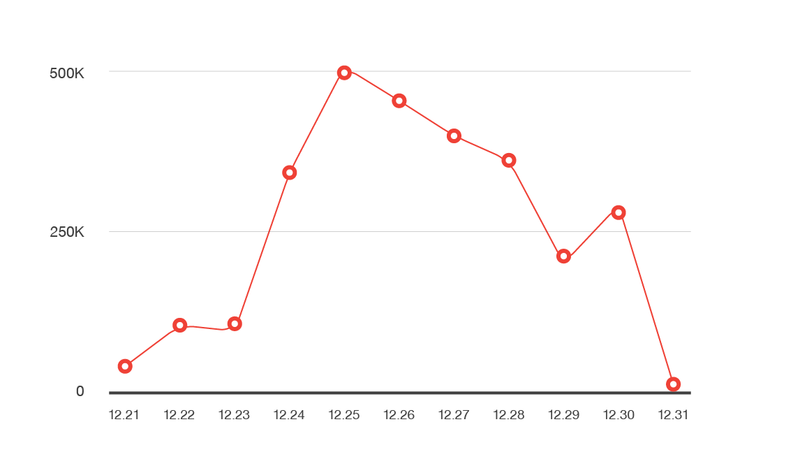 Starting on December 21, we saw activity going to a malvertising server, with traffic coming from users in Japan. This campaign led to sites hosting the Angler Exploit Kit, which would download a banking Trojan (BKDR_VAWTRAK.AAAFV) onto the affected machine. We believe that this attack is a continuation of the same malvertising campaign we first identified in September that also targeted Japanese users. Any technology that is meant for good can be abused by cybercriminals, and Let’s Encrypt is no exception. As a certificate authority ourselves we are aware of how the SSL system of trust can be abused. Cases like this one where an attacker is able to create subdomains under a legitimate domain name demonstrate a problem. A certificate authority that automatically issues certificates specific to these subdomains may inadvertently help cybercriminals, all with the domain owner being unaware of the problem and unable to prevent it. These DV certificates can help the hacker gain legitimacy with the public. Let’s Encrypt only checks domains that it issues against the Google safe browsing API; in addition, they have stated that they do not believe CAs should act as a content filter. Security on the infrastructure is only possible when all critical players – browsers, CAs, and anti-virus companies – play an active role in weeding out bad actors. CAs should be willing to cancel certificates issued to illicit parties that have been abused by various threat actors. Website owners should ensure that they secure their own website control panels, to ensure that new subdomains beyond their control are not created without their knowledge. Users should also be aware that a “secure” site is not necessarily a safe site, and we also note that the best defense against exploit kits is still keeping software up-to-date to minimize the number of vulnerabilities that may be exploited. We have notified Let’s Encrypt about this particular certificate being abused. Digital Certificates: Who Can You Trust? I think it would be polite to mention that Trend Micro is in certificate selling business and Let’s Encrypt can be seen as their competitor. Furthermore the article does not accurately disseminate what’s the difference between malware served over HTTP or HTTPS. Sounds like the issue is that the hijackers are able to route traffic to *an entire subdomain* of the company. That they also happen to be able to pull a non-EV certificate once they own all the subdomain traffic is nothing new. They have always been able to do that. For example, the StartCom CA issues certificates once they are satisfied that they can send an email to the domain. If you own the domain traffic, you can receive emails. I’m sure there are other CAs that have similar verification procedures in place, such that once you own all the traffic to a site, you can get a non-EV certificate issued. To put it another way, I don’t see what this has to do with Let’s Encrypt in particular, other than that they happened to be the CA in this instance. “…until its webmasters are able to fix this problem appropriately.” how should the webmasters fix this? As in fix, not remove the symptom. From new extortion schemes and IoT threats to improved cybercrime legislation, Trend Micro predicts how the security landscape is going to look like in 2016.